There are countless reasons that people around the world celebrate International Women’s Day (IWD). The day provides a focus and opportunity to celebrate women’s contributions to society, highlight our struggles for equity, point to the huge pay and educational discrepancies suffered by women and girls, and thank women for fostering the well-being of families and communities. But, many people are unaware of the origins of IWD. Women at the turn of the 20th century – when the nascent stirrings of the later celebration began – were not only seeking to address gender inequity but social class inequality as well. IWD grew out of the need for better working conditions for women in industrially developing countries who were entering the job market in unprecedented numbers. Many of these women were taking “women’s jobs” that offered depressed wages, long hours and dangerous working conditions. Many were immigrants on the margins of the job sector. In the 1910s, celebrations of what would become IWD also began to demand suffrage for women, education and training, and the right to hold public office. 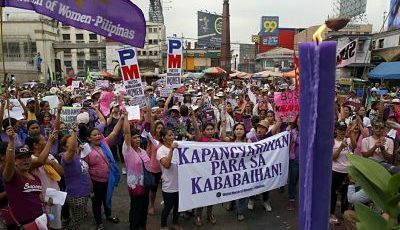 Over the next century, more than 100 countries would come to recognize IWD as an official celebration. The day became an international holiday when the United Nations declared March 8th United Nations Day for Women’s Rights and International Peaces Rights and International Peace in 1977. Women across the United States will participate in IWD by calling attention to the substantial gender inequity we continue to face – from wage inequality to #MeToo – with little discussion about social class differences. However, women in many other parts of the world will place social class issues front and center in their IWD commemorations to #PressforProgress. We need International Women’s Day to bring a laser focus to the relationship between gender and social class in our nation. For example in Kenya, women will focus on the issue of women languishing in jail. The organizers will take incarcerated women much-needed items like sanitary towels, washing detergent and tissues. But their primary purpose is to raise awareness about the issue of women without means ending up in the prison system at a rate higher than their sisters with more class privilege. 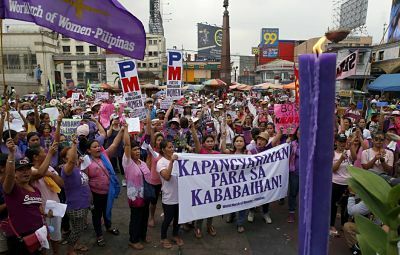 In Hong Kong, domestic workers, many of whom are migrants, are using IWD rallies to call attention to the abysmal wages and unregulated working hours forced upon them by their wealthy employers. They are also demanding an end to policies that stipulate that they live in their employer’s home. In Italy, women are holding massive demonstrations and are striking for gender parity. And they are calling for more parity for those too economically marginalized to risk striking. There are a plethora of energy-charged International Women’s Day celebrations taking place across the United States today – from demonstrations to conferences to press events. They are, thankfully, focusing attention on a host of women’s issues that merit an urgent response. Additionally, with the unabating escalation of social inequality in the United States, we need IWD events to return to the celebration’s roots. We need this worldwide holiday to bring a laser focus to the relationship between gender and social class in our nation.